As we get closer to Summer once again, the itch and need to start making films and videos grabs us all once again. And as a professional filmmaker, I often get asked around this time what is the best camera for you to buy? It also seems to be that this question gets asked around the time of the NAB show, mostly because new cameras get released or announced and people get camera-envy. What I’m going to be focusing on is mostly the £1,000-£2,000 price range. And starting your research around what camera to buy around the NAB show period is actually pretty good as all the older models will drop in price a bit and you can get that camera you always wanted for 10% or 20% cheaper. One quick disclaimer about this blog, I’ll be looking into what you want to do with your camera, how you should go about choosing the camera that’s right for you and understanding your publishing platform. Unlike other blogs that systematically go through each camera’s pro’s and con’s, which can be useful, I’d rather that you were well informed and then make a choice that fits your budget and skill level better. Rather than seeing a camera with a lot of pro’s, saving up for it, and then only using half of the features because it wasn’t the right camera for you. Jumping straight into the finances. This may seem like an obvious statement, but so many people try to buy a camera they can’t afford. And by that, I mean they save up for a camera that’s £1,000 and then have no money left to buy memory cards, additional battery’s, a tripod, shoulder mount or sound equipment. So, Know your budget. Figure out how much you must spend on your overall equipment setup. But also take a moment to ask yourself how much you are willing to spend yourself. Don’t force yourself to spend more than you want to, just because you started to believe you can’t make the film you want without that uber-expensive camera. Take a step back and evaluate what you really need. We’ll be exploring some of these ideas a little bit later as well to help you with this reflection. A great way to determine your spending amount is by looking at how much you can save or earn by buying a camera. Will you be saving on hiring costs if you owned a camera? And would you be able to take on more jobs or start doing jobs if you owned your camera? The answer to both of those questions will greatly help in your decision making. And with that, also explore hiring a camera, you may not need to buy one at all. But also, and I really want to emphasize this, hire your camera of choice before you buy it if you can. I know too many people that jump straight in with buying a camera and then discover it’s not the one they wanted. Approach it like buying a car, go for a test drive before you commit your hard-earned cash to it. Beyond knowing your budget, you should the craft of filmmaking before you even consider buying a camera. An expensive camera does not a filmmaker make. If you are lacking in the skills to use the camera properly, or don’t know anyone who does, or you haven’t fully fleshed out your storytelling muscles, then the most expensive camera in the world will not save you. Get some knowledge first, check out some online courses for filmmaking and storytelling at places like Udemy.com or Masterclass.com, or some of the blogs on this site æStranger.com. Once you have some basic knowledge then you can start to think about the type of film/video you want to create and what type of style you have. Both are important to know because they will inform the look of your film and thereby inform the type of camera you need. The last point is to make sure you have your story ready. And what I mean by that is, know what story you want to tell, understand it, breathe it, live it. It’s the passion that you have, to tell that story that will come across on the screen. Regardless of what camera you have, it’s that what you want to show people, not the color density that that particular camera allowed you to achieve (though that does help, sometimes). Before making the decision to buy a camera, you need to be sure you know how to use the camera. Yet again, take it for a test drive, check how much is manual and how is automatic. Do either of those have an influence on how you are going to film? If you’re a run & gun documentary maker then more automatic features will make your life easier. If you’re an interviewer then having full manual control over what you shoot is probably more preferable. If you know you’re going to be more stationary then consider if the camera has a detachable lens. I myself prefer cameras with detachable lenses as I like the look that various lenses offer. Bear in mind though that even if you are run & gun style, if you figure out a way to do that with swapping lenses the whole time then more power to you. Next check what type of audio recording you need. Are you going to do in camera or external sound recording? If it’s in camera, does it have xlr or mic jack port? Do you need phantom power? Research all of these when looking at your camera. Sensor size may be of interest to you if are planning on shooting narrative film with detachable lenses. A full frame or 35mm equivalent sensor looks and feels much better for that type of filmmaking. Documentary or Journalism can get away with cropped sensors much better. And also whether 1080p HD or 4K UHD is what you want to publish it. If you’re mainly aiming for web release then 1080p is still fine and will lower the cost of the camera for you. One piece of advice I’d give though is if you’re run & gun, buy a 4K camera, as you can always zoom in in post and get more shots for your 1080p piece. Where are you going to publish your final work? Will It be YouTube, the big screen, film festivals? More than likely your answer will be YouTube, but trying the indie filmmaker festival circuit is also a possibility. So, if it’s YouTube, are you a vlogger, narrative filmmaker, short or long form, documentary, music video or educational? Let’s go through each and break down what type of camera is best in each situation. Hopefully, an overview like this will help you make a more informed decision on what camera to get. Being a vlogger is super popular now, and is also probably very saturated. So, make sure you have something that makes you stand out. My recommendation is to look more at the Prosumer camera or semi-pro camcorder range. These give you mobility, have mostly automatic settings and allow for fast footage transfers. They also tend to have good battery life and do not overheat due to lengthy use periods. 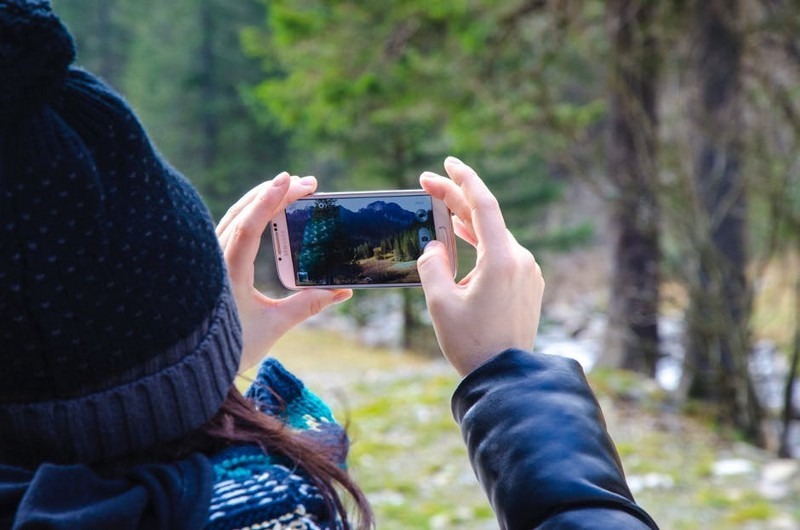 If you want a slightly cheaper option, then a smartphone or pocket camera is a good option. These cameras are very quick and easy and everything can be set to automatic. If you are an “artist” and image quality is what you’re after, then a DLSR or mirrorless camera is the choice for you. Especially if you’re leaning more to filming events, as people often want to see the atmosphere rather than have a visual recording of the occasion. This is pretty straightforward, in my opinion, you will want a DSLR or mirrorless camera for this. Simply because of the detachable lenses and the ability to shoot in full frame. DSLR’s also have better color and light range in the price class they are in. You really can’t go wrong with a DSLR in those cases, everyone loves looking at a shallow depth of field shot in a narrative film or a music video. If you’re aiming for journalistic documentaries then go more for the semi-pro camcorder, flip cameras or smartphones. Especially if it’s more event and people-oriented journalism. You will want speed and ease in those situations. If it’s more nature, landscape or the person in nature, then we’re back to the trusted DSLR or mirrorless cameras. Mostly for the same reasons as mentioned above, you’ll be going for a look, color and image quality rather than getting a live story out there. Our last genre, if you will, is educational content. For some reason, many institutions and people still use camcorders to record educational content. Unless you’re creating promotional video’s, you don’t really need large cameras. You’re just fine with an iPad or iPad mini. These tablets are brilliant as you can get them 64gb to 128gb sizes, they have good quality wide angles sensors/lenses and you can load iMovie onto them and edit and upload your video’s straight away. Well almost finally, one more thing quickly: Lenses. I just wanted to add a few things around lenses, because many of the DSLR’s or mirrorless cameras listed below are body only. So, remember to take the cost of your lenses into account before committing to a particular camera. If you’re not sure what type of lens you might need then here are some tips from what I tended to use when shooting music films, short film, documentaries, and corporate promotional videos. You’ll want at least 1 telescopic lens, maybe 3 lenses in total, 4 if you can afford it. Your 1 telescopic should be a lens similar to a 24mm-105mm lens. Variations are 18mm-200mm or 24mm-75mm. Any of those will do as a good starter lens (most DSLR packages come with 1 of these lenses already). But do make sure the f-stop doesn’t go higher than f/4 or f/5.6. If you’re able to get 2 telescopic lenses, one that is similar to 12mm-35mm and 1 hat is 24mm-105mm than you’re set. A good to have prime lens is a 50mm lens with f1.8, and a nice to have prime lens is a 35mm lens with f/1.8 as well. But those are if you happen to have an extra budget. Below I’ve compiled a list of cameras’ that fit the above-described needs that you may have and in what category they fit.I’ve not tried out each camera personally, and I also, unfortunately, don’t know your budget or skill level, so giving you an informed recommendation would be dangerous and useless on those grounds. What I will say is how much they cost and what genre they are best suited for. Hopefully, with the preceding questions and the knowledge you have gained, you can make a smart, well-informed and cost-effective choice. Good luck with making those films! All 3 are great low-end budget DLSR’s, good for Vlogging and Live events. Nikon’s tend to have a better low light sensor and Canons I find give better color, but that’s a personal opinion. Getting slightly higher in price, perhaps outside of the student filmmakers range, but good for the starting YouTuber. And quite good for the budding documentary or short narrative filmmaker. Corporate filmmakers should also take note of these. If you have a little bit more money at your disposal than these three are great cameras. They hit the mark on just about everything you’d want. If you are into music videos, narrative film or want that extra edge in terms of quality in your final product. These are what I’m going to call the high-end, low-budget DLSR’s, if you factor in the price of lenses with these then we’re looking at the £2000 mark already. But they are worth the full costs. I’ve used the Canon’s myself, I find them to be solid cameras. If you are looking to make your mark as a filmmaker then one of these 3 is the camera you should be looking at. These cameras are brilliant for the run & gun documentary/ journalist-filmmaker. The only difference between the cheaper and more expensive ones in my mind is that the £600+ camera shoots in 4K. Which can be useful to stabilize that oh so important shot, or crop in to create varying shot sizes. With these, we’re looking at speed and ease, not so much filmic quality. These cameras are more expensive than camcorders and they don’t have interchangeable lenses. If you’re looking at these then you’re probably more in the area of shooting long-form documentary films, that still need mobility but tend to film for longer periods, which DLSR’s are really suited for. Or your creating corporate promotional video, such as interviewing people, recording corporate events and the like. Or you’re into broadcast journalism. All these cameras have xlr inputs or the ability to add them, and that’s a major plus if you’re involved in any of the above sectors. In all honesty, any smartphone or tablet can do the job you’d need it for. If it’s cheap vlogging, interviewing or capturing educational content. The reason I’ve decided to recommend Apple products is simply that they come with iMovie, which is a very good and easy editing app on these devices. Which allows you to do the shooting and editing all on one device. No edit suites needed, and you can upload straight from the device as well. Can’t be simpler. I hope this piece was helpful to you in some way. It may not be the traditional pro and con’s list you were looking for, but I’ve found very few of those actually answer the question that most people have around what camera they should buy rather than what camera they believe they need to buy.